A 960-square-foot home Giant Containers Inc. was building in Colorado when U.S. tariffs on shipping containers unexpectedly skyrocketed. Daniel Kroft had quite the shock last year. 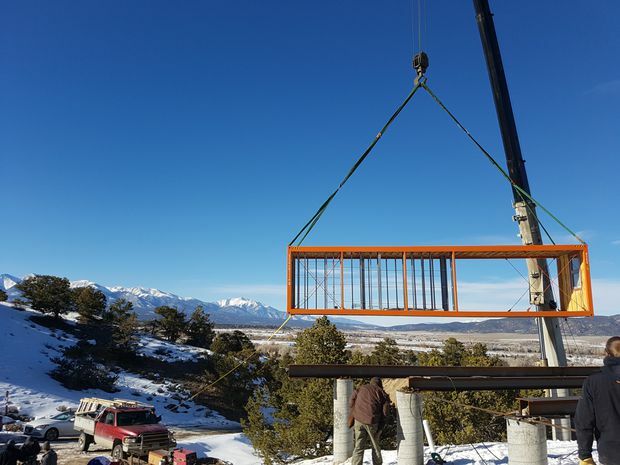 As president of Giant Containers Inc., a Toronto-based global supplier of new, used and custom-built shipping containers for residential, retail and commercial use, he was in the midst of installing a shipping-container home in Colorado. However, while waiting for the steel containers to arrive from China, he was notified that the tariff for bringing them into the United States would skyrocket to 25 per cent. Up until then, the company was looking at 2.9 per cent, he says. “You start to think, we’ve built up this business with a model in mind, and when you’re advised all of a sudden that your imports into the U.S. are going to be taxed at 25 per cent, it’s almost crippling,” he says. As a company that conducts 35 per cent of its business south of the border, leading to it open a studio in Miami with another one on the way in Los Angeles, the situation seemed bleak. A shipping container home built by Toronto-based Giant Containers Inc. in Yucca Valley, Calif.
Luckily, thanks to lobbying action by advocacy groups such as the National Portable Storage Association, the United States ultimately moved steel shipping containers off its 25-per-cent tariff list, and normal business could be resumed. But given the ongoing trade hostilities between the United States and China, Mr. Kroft is aware that it could be interrupted at any time. 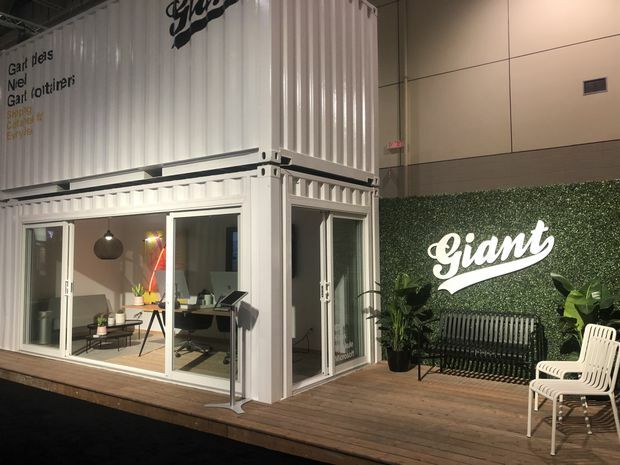 Giant Containers Inc. showcases its G160 containers at the 2019 Interior Design Show. The continuing potential for these kinds of shifting sands makes it difficult for Canadian businesses to plot a steady course. Companies like Giant Containers want to offer customers the best possible prices, and if 25-per-cent tariffs re-emerge during the middle of a project in which the price is already agreed upon, it is almost impossible to pass that cost on to the clients. 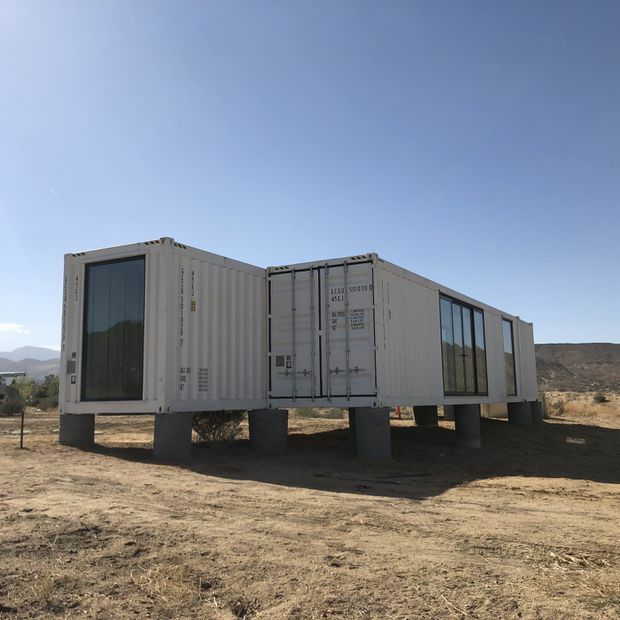 “So it’s something that has to be absorbed by us and basically throws us a curveball,” says Mr. Kroft, who charges anything from $3,000 for an empty container up to $250,000 for a luxury abode. It could be the reality for the next little while, however. While there are hopes that the ratification of the United States-Mexico-Canada Agreement (USMCA) will bring some certainty to the steel-tariff situation, that may not occur as soon as some people expect. Popup container structures designed and built for Dosist, which originally appeared at the Toronto International Film Festival in 2018 and have since been travelling around the United States. Peter Warrian, an expert on the steel industry and senior research fellow at the Munk School of Global Affairs at the University of Toronto, says that the experts he has talked to suggest there is no chance that Congress is getting around to that bill until at least April. “Then the Democrats are going to want a lot of amendments, so you’re going to live with this … for a while,” he says. Apprehension is a common theme in this country’s trading landscape. 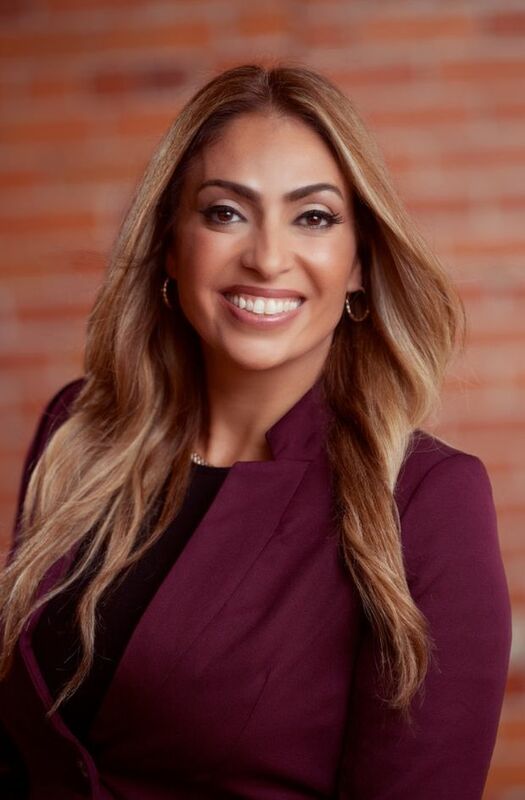 Laurie Tannous, special advisor to the Cross-Border Institute at the University of Windsor, says she is hearing much the same thing from businesses all along the supply chain. The principal complaint is that they don’t know what to expect tomorrow and so have trouble planning things today. One thing some companies are doing in response, Ms. Tannous adds, is to make changes to their supply chain. “One mitigation tool that some companies use is they re-engineer their tariff,” she says, explaining that a business may take an item and change it somehow or add something to change the tariff that would apply to it. By way of example, she says, a broom company might consider switching from a steel handle to a wooden one, thereby providing a slightly different product and averting some of that tariff for the time being. Another thing that some companies are doing, she says, is changing the countries where their goods are being sourced from. “There was a time when everybody got everything from China, and now they’re saying, ‘Let’s see where else we can get it from,’” Ms. Tannous says. In that vein, she says that companies are basically looking for three things: They want to make sure they can get the item and that it is of good quality; they want to ensure timely delivery of the good; and they want the cost at the lowest-possible price. “If it’s not going to fit within a trade agreement, if we’ve got to get it from a different country, we will do whatever we have to do to meet those three factors,” she says. For companies that do not have the option of disrupting their own supply chains or switching source countries, another option is extending their credit. Whether it is their service providers, or their banks or private lenders, companies are looking for a grace period to make up payments. But those are really the only options, Ms. Tannous says.